More often than not, in a home insurance policy there will be stated strict rules towards what security is acceptable. And which must be put in place to validate the policy that you pay a premium for. Don’t run the risk of paying for insurance which you will not be able to claim on should there be a disaster situation. Get in touch with a trained and trusted lock and security specialist to help you keep in line with your policy. Of course, the great thing about having a professional security specialist technician at your side. 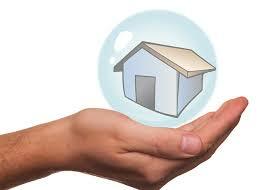 Is that not only will your home insurance policy be made valid as a guarantee from your security provider. But also that your security and protection will be made proper. Installation, of the right security features is as simple as speaking to your locksmith technician now. Our experts are ready to help at any time and we are happy to have a conversation about your home security and insurance policy as soon as today. Often in insurance situations there is mention of a 5 lever mortise lock as minimum requirement for your door security. If you are unsure if your locks, front and back door are up to the lock standards needed. Feel free to get in touch with our team and we can help you. Quick installation of the required features stated by your home or business insurance is always available with us. And at affordable prices. Of course each policy is different and to ensure you are within the right specification it is always recommended to employ a security professional. In most cases burglar alarms are not a requirement for validation, however some home insurance policies do demand it. Our team can help you with the fast installation you need as soon as today. What are the benefits of getting your home security surveyed? Among the few things which we consider absolutely essential to any home security situation is that of the home security survey. Also known as a security check, or inspection. To get one is as simple as ringing your local professional. And the reason to our recommendation to have this done is simply the information it provides you with regards to your specific situation and your specific needs. Get in touch with us now to book in for your security inspection at a time that suits you. A security survey is also a great way to get a chance to ask your security questions. As with many situations, the questions crop up when you are looking at the matter at hand. And with an instantaneous chance to ask them, there is no security question that is left unanswered. There are only good reasons to make sure that you are up to date with security at home and at work. Security matters are seen to, risks are evaluated, and of course you’ll have the right solution for each feature that may need quick updating. Things such as insurance validation by adding the right security measures to your home is another vital point that we would like to bring up. Each day, many homes broken into, and often there are issues with insurance claims due to the lack of high security needed. For help with the right locks, the right alarms and other specifications of your policy, get in touch with us or your local professional locksmith now. ← Is lock snapping something i should be concerned about?